Hi! 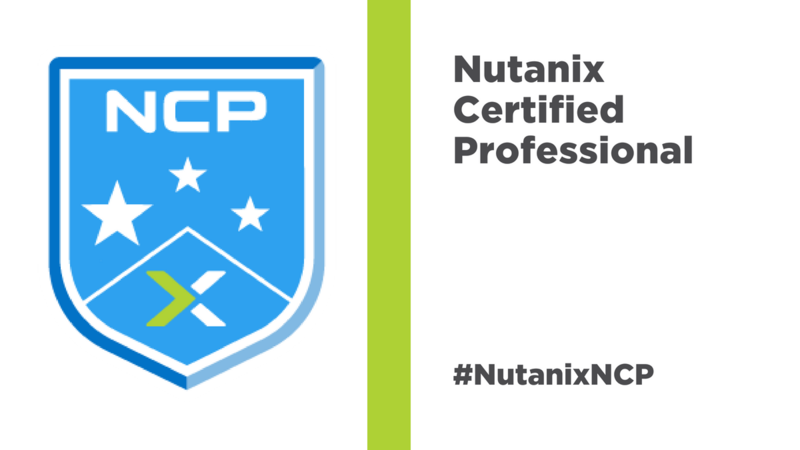 You may have noticed something a little different about the forum today: we've updated the name to Nutanix Certified Professional (NCP). NCP is the successor to the NPP program, and it covers deploying, administering, and troubleshooting Nutanix AOS 5.5 in the datacenter. trying to access the new portal, but get an error that I’m not authorized to access the site, while I have an end-customer account and able to login to the support portal and education portal (old/current one).. I've received email notification about pass NCP 5.5 for couple month. But I can't get any result about that. My grade is 82%, pass is 75%. 554 Blocked - see https://ipcheck.proofpoint.com/?ip=209.140.25.90"
where i have that write for know my result. The NCP exam is free until November 27, after that it will cost $199 per attempt. Greetings, Can i know NCP certification still it is free certification? The NCP exam blueprint guide will show you what's covered on the exam and may help answer your question. Hopefully some others who've taken both exams will see your questions and weigh in as well. Is there a big difference on the questions of NPP and NCP exam? Hi - the choice to upgrade or not is a personal one that depends on many factors: What version are you using in your day to day work? Do you work for a Nutanix Partner? Are you planning to pursue NCAP or NPX certification? When did you earn NPP 5.0? Is your employer looking for you to demonstrate up to the minute certification? I understood. We are in version 5.6 (will be updated to 5.8), No. I do not work in a Nutanix partner, but would like to work one day. I did the NPP exam in May 2018. Will I have to upgrade the NPP 5.0 certification to the NCP?